One of the things that I missed when I walked away from music was my microphone. 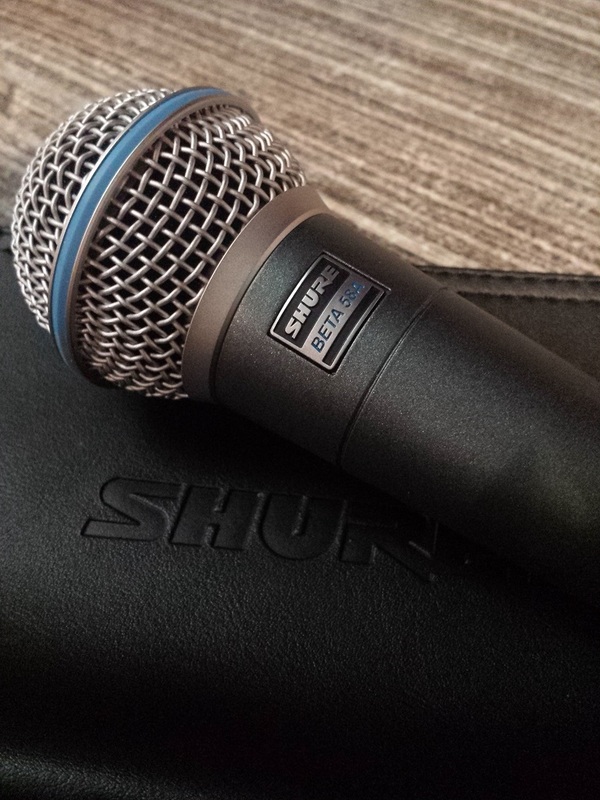 It was a Shure Beta58a. I bought it after I had the chance to use the Beta58a of a friend at his gig. There was an open mic after and I took the opportunity to get up on stage. I loved it immediately. It matched my voice perfectly. I didn’t really get to use it a lot. Five or six times, I think. But it was more than enough to fall in love with it. I’ll admit, I can get pretty superficial at times. The love for material things affects me as well. I’m human, still. I thought that that’s why I missed that mic so much, cos it was good and perfect and a bit expensive. It became a sort of trophy for me. I mean, yeah, it’s an instrument in itself. It matches my voice and only make the whole singing thing better. But was it really really necessary? It wasn’t, I suppose. Most local singer/songwriters I know use the house mic. But whatever, I can afford it, anyway. I’ve had tons of realizations the past weeks. Going through a shitstorm of emotions does that to a man. One realization, a recent one, was that that mic wasn’t just a status symbol for me. I didn’t miss it because of what it is in actuality, a microphone. An object. A thing. I miss it because of what it represents. That Shure Beta58a represented my voice. Or one symbol, at least. But it’s the one that gets my voice heard. As some of you might know, vocal expression isn’t my forte. It frightens me, in fact. But when I’m singing on a stage, the fear disappears. I get to open my mouth and use my voice. That’s what the mic, my mic, symbolizes. My voice. I really wish that you go back to singing and wtiting songs again. I want to hear you sing….